Larry Levy is a Founder and a Managing Partner of Levy Family Partners, a family investment office that oversees a broad portfolio of public and private investments, with an emphasis on hospitality, real estate, and technology companies. Larry is also Co-Founder and Chairman Emeritus of the Chicago- based Levy Restaurants as well as Chairman and Chief Executive Officer of his real estate development company, The Levy Organization. Levy Restaurants - Founded in 1978, Larry built Levy Restaurants from a single delicatessen in Chicago into an internationally recognized specialized food service organization with the market leading share of high-end sports and entertainment facilities throughout North America and Europe and a network of acclaimed restaurants. Under Larry’s stewardship, Levy Restaurants pioneered the concept of premium dining in sports and entertainment venues. From its initial start of catering the skyboxes at the Chicago White Sox’s stadium in 1982, the company has grown to become a full food service provider to 79 sports and entertainment locations across the globe including convention facilities, music/performance venues, stadiums and arenas for all major sports leagues. Throughout the company’s 35 year history, Levy Restaurants has hosted and continues to cater marquee events such as the Kentucky Derby, Major League Baseball’s World Series, the All-Star Games of MLB, NHL & NBA, NFL’s Super Bowl, the GRAMMY Awards and the U.S. Open Tennis Tournament. Levy Restaurants also owns and operates a number of award-winning restaurants including Spiaggia and Bar Toma in Chicago, and Fulton’s Crab House and Portobello Yacht Club in Walt Disney World. Larry’s commitment to excellence, creativity and a passion for quality in each of the business groups has made Levy Restaurants one of the fastest growing foodservice companies in America. Larry sold his remaining interests in Levy Restaurants to the Compass Group of London in 2006 and he remains Chairman Emeritus. Real Estate – Larry’s vision for real estate has guided many major real estate projects in the last three decades. 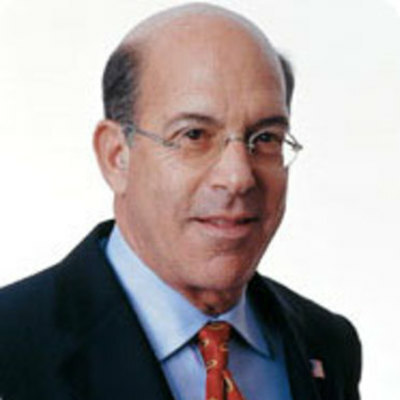 Throughout his career, Larry has been a partner in more than 50 office, industrial, hotel and residential developments and has made real estate acquisitions in multiple US cities, the Caribbean and Mexico including: One Magnificent Mile, Woodfield Lake Office Campus, Waterfall Glen Office Park, Chicago Mercantile Exchange Center, One South Dearborn and Butterfield Center for Business. LFP, in partnership with Hines, is Managing Partner for River Point, a 1.1 million square foot mixed use development overlooking the Chicago River, the first new construction office building to break ground in Chicago since 2008. Levy Family Partners – Larry formed Levy Family Partners as the vehicle for investing his four children’s portion of the proceeds from his sale of Levy Restaurants. With the assistance and expertise of a superb professional staff and world-class partners, Larry and two of his sons manage LFP’s portfolio of operating businesses and other investments. LFP has developed, owned and operated numerous restaurants, including Pollo Campero restaurants in Illinois and Florida, Bodie’s All American, and Babycakes NYC in Walt Disney World, and Lorenzo in Miami Beach. LFP also owns significant stakes in the Esperanza Resort in Cabo San Lucas, Mexico, and the Redbury South Beach hotel in Miami Beach. In May 2013, an LFP affiliate announced a new strategic relationship with Blaze Pizza, a fast fired custom built pizza concept focused on affordable high-quality food. Along with several celebrity partners, the company plans to open 25 Blaze Pizza outlets in Chicago and Miami over the next four years and hold a stake in the franchisor parent. Beyond the hotel and restaurant space, LFP has significant interests in several real estate companies that own and develop office, residential, and industrial buildings across the United States. The private equity holdings of LFP and the Levy family members include investments in a diverse set of companies, including Cleversafe, Home Depot Supply, Popchips, Nest, Digital Menu Box, Retrofit, Swipesense, Delhi Stock Exchange, Lakeview Investment Group, and Organic Life Holdings. Awards and Recognition -Larry has been recognized by his industry and peers with numerous awards including: the 1999 IFMA Gold Plate Award as Restaurateur of the Year in the United States as well as the Ivy Award, the restaurant industry’s Academy Award, for Spiaggia, Bistro 110, and Levy Restaurants received the first Ivy Award ever given to a sports and entertainment foodservice company. Larry was awarded the prestigious Northwestern University Alumni Award in 1982, the Kellogg School’s Shaffner Award in 2003. Larry and his wife, Carol, created and endowed the Levy Institute of Entrepreneurial Practice and the Levy Social Entrepreneur Lab at Kellogg Graduate School of Management at Northwestern University. Most recently, Sports Business Journal included Larry in its ranking of the “20 Most Influential People in Sports Facilities.” Larry received Ernst & Young’s Master Entrepreneur of the Year Award for Illinois. Boards - Larry remains active in the community and continues to serve on many civic, corporate and charitable Boards. Larry is a member of the Board of Advisors of Northwestern's Kellogg Graduate School of Management, a Trustee of Northwestern University, a life Trustee of the Lincoln Park Zoo, a trustee of the Art Institute of Chicago and Northwestern Memorial Hospital Foundation. Larry previously served as the Chairman of the Chicago Chapter of the Young Presidents Organization and the Rhodes Scholarship Selection Committee for 6 years, later acting as its chairman. Larry received his B.S. and M.B.A. at Northwestern University.